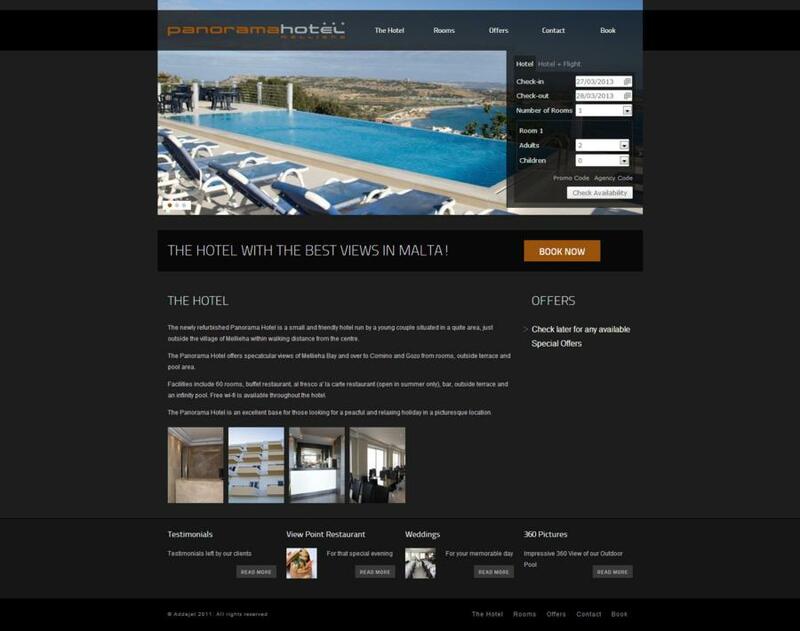 The management at the Panorama Hotel engaged with both the Abakus Labs team and the addaJet team to strengthen their current online presense. 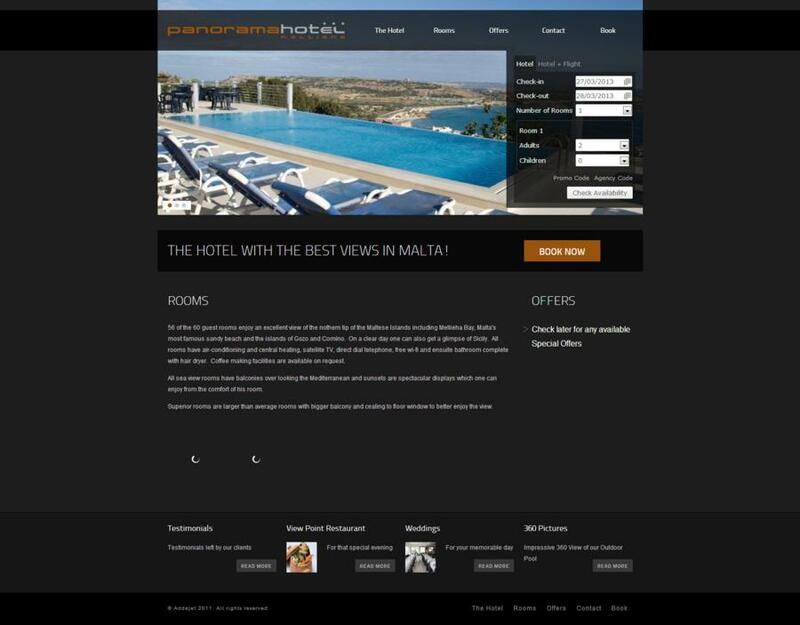 Together with the Abakus team a new website was developed that could not only give information about the hotel itself, but which could also keep the clients informed about any special offers and events occurring at the Panorama Hotel. 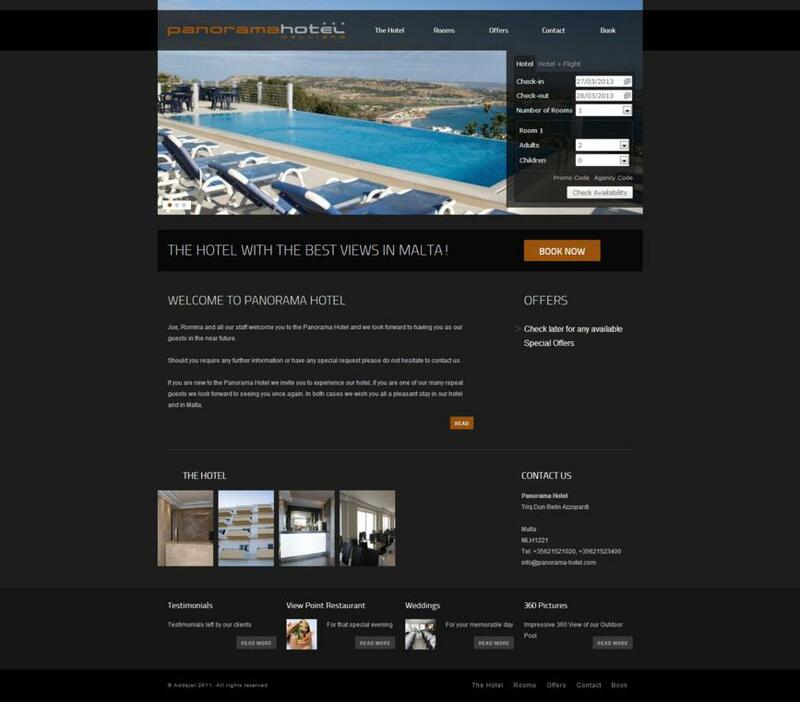 The new portal was also integrated with the addaJet online booking search engine which through it clients could have the possiblity to search and book directly through the hotel. The system, which is developed in-house by our addaJet team, gives a lot of flexibility to the hoteliers - from flexible rate plans to the creation of unique packages. For more information about addaJet kindly visit our sister website www.addajet.com.